WAMPUM, Pa. (Aug. 24) — The MotoAmerica championship heads to its eighth round of the series this weekend at Pittsburgh International Race Complex. 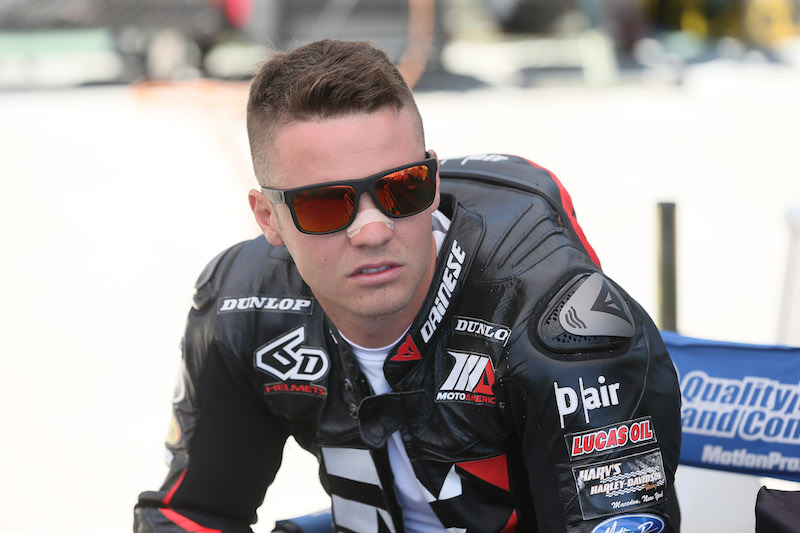 Kyle Wyman will ride his #33 Décor Brilliance/Lucas Oil/KWR Yamaha YZF-R1 Superbike as professional racing will debut at “Pitt Race” for the first time, ever. Wyman, who considers Pitt Race his home track, was born in Rochester, N.Y., just 270 miles from the circuit which will hold its first ever major motorsports event this weekend. Wyman heads into the Pittsburgh round after a successful official test at the circuit back in May, where he finished with the third fastest time overall. With the final three rounds on the east coast of the U.S., Wyman feels his chances are high to find the podium with track familiarity on his side. For the complete weekend schedule, click here! BeIN Sports will be televising the championship this weekend with LIVE coverage of Superpole qualifying as well as both Superbike races. Dates and times are here, and if you do not have BeIN Sports Network, you can subscribe online through Fubo.TV for only $15/mo.